Massasoit was the leader of the Wampanoag when the Pilgrims arrived at Plymouth in 1620. 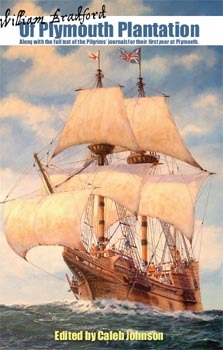 Although he is not mentioned by name in any English accounts prior to 1621, he and his brother Quadequina are undoubtedly the "two Kings, attended with a guard of fiftie armed men" that met Captain Thomas Dermer at Pokanoket in May 1619, when he was returning Tisquantum ("Squanto") to his homeland. Massasoit wearing the red horseman's coat that he was given as a gift in the spring of 1621 by Edward Winslow and Stephen Hopkins on behalf of the Plymouth colonists. Painting courtesy of Ruth DeWilde-Major. On 22 March 1620/1, Massasoit decided to pay his first visit to the Plymouth Plantation at the invitation of Tisquantum, who had first visited with the Pilgrims shortly before. In an almost identical scenario as that of Thomas Dermer a year earlier, he and his brother along with 60 armed men came and stood at the top of the hill overlooking the Colony. Edward Winslow was sent to him with some knives and a copper jewel chain as gifts--and Massasoit was told that the Pilgrims only desired peace and trading. Massasoit was told that King James of England saluted him with love and peace, and accepted him as a friend and ally. Massasoit liked what he heard; the English would make powerful allies against his enemies in the region. The Pilgrims wanted a peace treaty, and so he willingly undertook the negotiations. At the peace negotiation, he was met at the river by Captain Myles Standish and Elder William Brewster. They saluted one another and he was taken to William Bradford's house for the negotiations with Governor John Carver. Massasoit was given some liquor, fresh meat, and some biscuits. Massasoit and the Pilgrims agreed to a treaty which said that none of Massasoit's men would harm the Pilgrims--and if they did, he would send them to the Pilgrims for punishment. And if anyone did unjust war against Massasoit, the Pilgrims would come to his aid. They also agreed that when trading, the Indians would not bring their bows and arrows, and the Pilgrims would not bring their guns. In his person he is a very lusty man, in his best years, an able body, grave of countenance, and spare of speech. In his attire little or nothing differing from the rest of his followers, only in a great chain of white bone beads about his neck, and at it behind his neck hangs a little bag of tobacco, which he drank and gave us to drink; his face was painted with a sad red like murry, and oiled both head and face, that he looked greasily. All his followers likewise, were in their faces, in part or in whole painted, some black, some red, some yellow, and some white, some with crosses, and other antic works; some had skins on them, and some naked, all strong, tall, all men of appearance . . . [he] had in his bosom hanging in a string, a great long knife; he marveled much at our trumpet, and some of his men would sound it as well as they could. And now to speak somewhat of Massasoit's stature. He is as proper a man as ever was seen in this country, and very courageous. He is very subtle for a savage, and he goes like the rest of his men, all naked but only a black wolf skin he wears upon his shoulder. And about the breadth of a span he wears beads about his middle. A second trip to Pokanoket, where Massasoit lived, was made by the Pilgrims, so that they could learn more about their neighbors and to make some additions to their treaty. 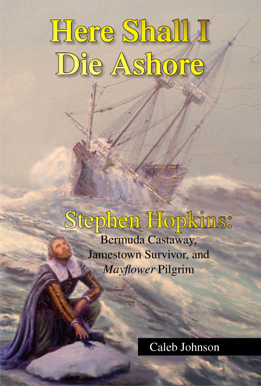 This time, Edward Winslow and Stephen Hopkins were chosen to make the trip. Massasoit came out to see them when they arrived at the end of their several-days journey. 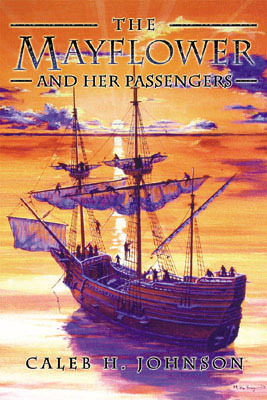 They reaffirmed their peace with one another, and Massasoit agreed to tell his Indians to stop making random visits to Plymouth looking for food and entertainment; and he also agreed to send a messenger to contact the Indians of which the Pilgrims took corn from upon their first arrival--since they had thus far not been able to repay them. In March 1623, Massasoit became extremely ill, and when word came to Plymouth, Edward Winslow made a trip to Pokanoket to visit him, guided by Hobomok. When they arrived in Nemasket, they were informed that Massasoit had already died. They proceeded to Corbitant's house, and there sent a messenger to Pokanoket who returned saying Massasoit was not dead yet, so they continued on. They found Massasoit in his house, full of many visitors. Massasoit was now blind, but could still understand--when they told him the English had come to visit him, he asked "Keen Winslow?" which means "Are you Winslow?" Then he said, "Matta neen wonckanet namen, Winslow! ", which means "O Winslow, I shall never see you again." Winslow gave him a little bit of medicine, and scraped out the inside of his mouth which had swollen up preventing him from eating or drinking anything. Then he gave Massasoit some water and more medicine. In about half an hour, Massasoit had regained his eye sight and was getting better. Winslow made a chicken broth soup for Massasoit, and within a couple days Massasoit had his appetite back, and eventually recovered. Massasoit then revealed to the Pilgrims a conspiracy plot by the Massachusetts Indians to attack them and the Wessagusett Colony, and the Pilgrims led by Myles Standish, with the help of some of Massasoit's men, defeated the plot before it could materialize. By 1632, Massasoit is almost always referred to by the name of Ousemequin (sometimes spelled Woosamequen), which translates to "Yellow Feather." Massasoit lived a long life, and remained a close friend and ally of the Plymouth Colony until his death around 1661. His son Mooanam, later called Wamsutta (and by the English known by the nickname "Alexander") became leader of the Wampanoag, and was succeeded in turn by his son Metacom (known to the English by the nickname "Philip").